Welcome and Attendance: Tom Hall, President, welcomed all at the meeting. Association Officers, Jack Buchold, Secretary, Tracy Rhodes, IT Manager, and Dan Ross were in attendance. Board Members not in attendance were: Lew Gage, Lin Manning, Dave Miller, Treasurer, Terry Matter, RARA Representative, and Alby Redick, Aviation Classics. Guest Member Mike Scott, RTS Manager was also in attendance. Members/Guests In Attendance: Jan Bishop, Bill Janowski, Bob McLaughlin, and John Parker attended the meeting. Special Guest(s): Shaun Carey, Chairman, RTAA, Art Sperber, Trustee, RTAA, Aurora Ritter and Titus Roberson, both of RTAA. 2. Welcome RTAA Trustees: our new RTAA representative is Shaun Carey, who was in attendance. 3. Minutes of Last Meeting: The Approval of the Minutes of the January 9, 2018 meeting was unanimous. There was no regularly scheduled meeting in February. 4. Financial Report: Dave Miller was not in attendance, hence there was no reported activity in our account. The previous balance was $2,495.10. 5. Membership Report: at January’s meeting Dave Miller reported that there were 123 names on the membership roster, however, paid renewals were far less, at 63. 6. Program: There was no program due to illness of Ben Scott. 7. RTS Manager’s Report: Mike Scott, RTS Airport Manager talked about construction in progress on the nine pads for the heavy tankers and noted that between April 16-22 the Coulsen fire tankers qualifications for two C-130’s and possibly 737 parking on the Fire Base Ramp would occur. Mike talked about the water main work necessary for the road reconstruction and added parking, as well as the continued brick sales activities, with the bricks likely to be installed after the Races. There was a question raised about the timing of the gates opening and closing, to which Mike responded that they were set for a 6AM opening and a 6PM closing, but he wasn’t sure if daylight savings time adjustments had been already made. Another question was raised about taxiway 14/32 use, Bravo 1 lights, and the use of Charlie as well, during construction. He also noted that tenant support in the construction planning phase later on would be important, sequencing entry roadways to accommodate tenant access during construction. 8. 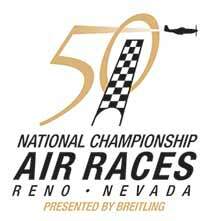 RARA Trustee Liaison Report: Terry Matter was not in attendance, however, Tony Logoteta, COO and CFO of RARA said that fund raising for the races was going well and they were trying to bring back the Heritage display. He reminded everyone that PRS will be June 7-10 with flying on June 9 and 10, and formation training (FAST)for the sport and jet classes will be before that, using waiver time. Mike said it would be tough to get in and out, but the tower will be open as race control. A question was raised about parking in front of tenant hangars instead of Lot 3, and Tony said that would be under discussion. Another question surfaced about tenant passes, and Tony said that he believed it would be the same as last year. 9. RTAA Report: Aurora Ritter, introduced by Laura Robb at a previous meeting, said that Dermody was working with the Governor’s office on plans for infrastructure improvements to the Stead area, primarily in the southwest quadrant of the airport. They are conducting interviews to back up Ken’s position permanently, and she and Titus are currently working on tenant leases. It was previously reported that Laura Robb, RTAA Property Specialist would be taking over Ken’s work. A question was raised concerning additional loss payees paperwork for sub-tenants being lost or misplaced, and Aurora said that she would look into their disposition. GAMS are now available on the RSAA website under the Airport menu item in the top menu bar. 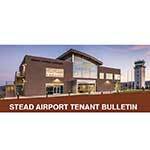 At Ken’s request, RSAA President Tom Hall had prepared a generic hangar lease available for all RTAA tenants who have sub-tenants renting their hangars at Stead. Please access RSAA website at https://steadusers.org to download a copy. Please feel free to download and edit and customize for your particular situation. 10. RTAA Trustee Liaison Report: Shaun Carey reported that the most recent Trustee Board Meeting was primarily oriented towards construction projects, including the project to increase airport parking capacity and rental car locations. Preliminary to the RNO Master Plan, they are working on completing strategic plans with a lot more financial information to be available. Mike noted that there would be public meeting in May for discussing the master plan for the commercial services airport. These included the restriction on large aircraft not able to use RNO due to inadequate runway length, the terrain of surrounding mountains and high summer temperatures compounding the issue. In addition, there is the NDOT long range plan to address spaghetti bowl problems and adding additional lanes down to Plumb, with two exits to the airport. 11. Webmaster Report: Tracy Rhodes said that there was an increase of about 5% overall, which he attributed to searches for the airport’s location, due to interest in drone testing activities over the past few weeks. The most visited page is the one that reflects the “for sale/rent” information. The previous month’s statistics; are noted below, and our address is still https://steadusers.org. The fall newsletter is on our site under “newsletters”, and the hangar sub-lease example is under the airport menu below GAMS. Work Accomplished Statistics over the last month were: five articles were published, the website software was updated nineteen times, and the “for sale/rent” ads were updated twice. He noted that it the responsibility of the ad requesting party to notify him when the item is sold or let, so that ad placements are current. There were 482 visits by 416 different users, 163 (34%) of those visits were by mobile devices. Tracy said there were 1,750 total page views with the most visited pages: For Sale 690, Home Page 222, Join/Renew 20 visits. Tracy is now in the Web Hosting business, if you need web site assistance or a new web site developed, please give Tracy a call. 12. RTAG Report: Bob Meurer was not in attendance and there was no report. 13. 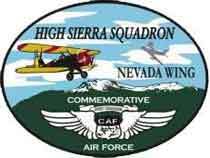 EAA Report: Tracy Rhodes reported that on March 17 it was anticipated that a Young Eagles event coordinated with the North Valleys Library would happen if the weather were favorable. However, due to current inclement conditions, no final plans would be made until Thursday, March 15. The rain day for the event would be March 24. 14. Next General Meeting: President Hall reviewed some articles concerning gentlemen who had served at Stead, and noted that the Silver Springs airport had received a $450,000 federal aviation grant for improvements. He also reported on the Perlan project, where they had achieved an absolute GPS altitude record of 52,221 feet. Tracy noted that they had been at the Soaring Society of America show at the Convention Center last weekend, where he had spoken with Richard VanGrunsven, designer of the Van’s aircraft. Tom thanked all for their attendance and noted that we are on a bi-monthly meeting schedule, the next board meeting will be April 10 at 5:15 PM, and the next regular RSAA meeting will be May 8. RTAG members are invited as well.